The best coloured pencils are the ones you have to hand when you need them! 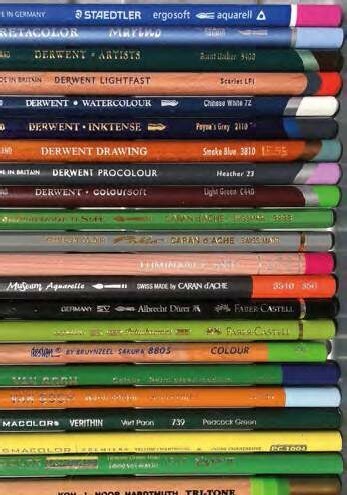 There are many makes and types of coloured pencils, with varying proportions of different pigments, mixed with wax or oils, and they vary considerably in feel. For someone new to coloured pencils, begin with a relatively soft pencil that is also watersoluble so can be used dry or wet. 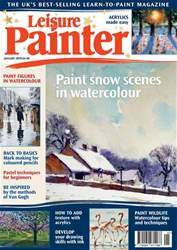 The three most suitable for beginners to try are Derwent Watercolour pencils, Caran d’Ache Supracolor and Faber-Castell Albrecht Dürer, all of which have rich colours and can be used dry or with the addition of water. I shall be using different types of pencils throughout this series, but most exercises can be completed with the pencils you already have. Some pencils will work on all types of paper, and some will need a rougher paper. If you buy a few individual pencils of different types you will find out which you like best.